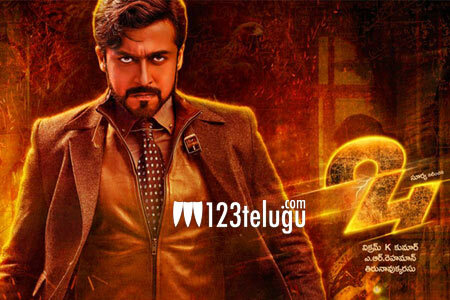 The success of 24 has brought a huge change in Suriya’s life. The film is doing exceptionally well and the collections in the US are pretty strong. Latest update now reveals that the film is nearing the one and half million mark and is now standing at 1.45 million currently. The above said collections are for both Tamil and Telugu languages. The film which is in its third week now is doing pretty well in the A centers. Directed by Vikram Kumar, this film has Samantha and Nithya Menen as the female leads. A R Rahman composes the music.